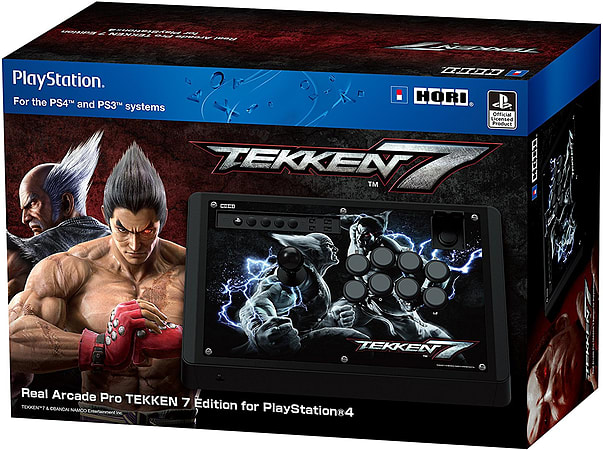 The Real Arcade Pro Tekken 7 Edition for PlayStation 4 is a tournament-grade fighting stick that brings the arcade experience home. Featuring HORI original HAYABUSA joystick and matte HAYABUSA buttons which have been designed from the ground up to reduce input time, increase accuracy, and extend durability. This is the new Real Arcade Pro, featuring a sleek, low-profile Noir chassis and the popular Hayabusa buttons for maximum comfort. 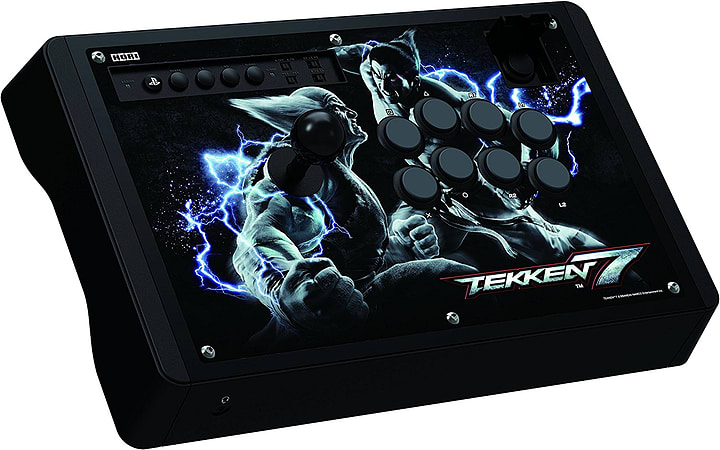 Additional features include assignable buttons, Turbo settings, Touch Pad, stick control input options, headset jack, PS3 and PC compatibility (via Xinput) and more. Settle for nothing less than the Real Arcade Pro! Officially Licensed by Sony and Bandai-Namco Entertainment.